Do you often wonder what goes on behind a commercial airline and how they run things behind the scenes? 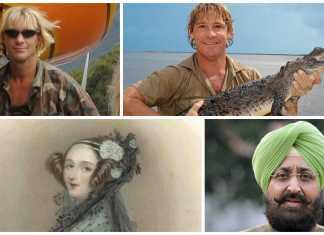 Not everything you see is as genuine as you’d hope to expect. The moment you board the plane and take your seat (regardless if you’re flying economy, business, or first class), you’ll realize later that even the most obvious things you experienced or witnessed could be a result from something negative (and dirty). 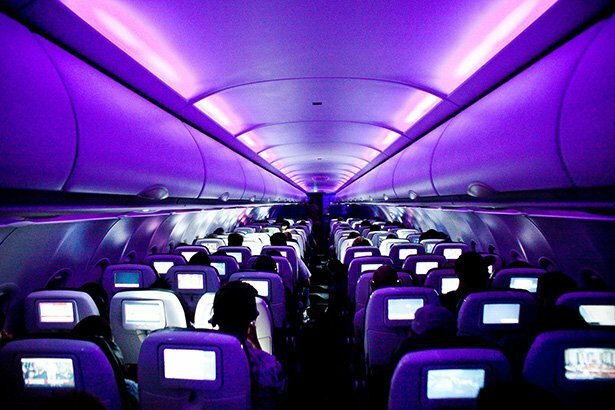 Everyone has their share of secrets and the commercial airline industry is no exception. People who work for major international carriers and the less-glamorous domestic airlines may not be as transparent as they appear to be. But then again, who cares? As long as you get to your destination, it’s all that matters right? Maybe. Based on one employee who previously worked for a company that distribute headphones to commercial airlines, a majority of the headphones used by passengers are cleaned and re-packaged. Many passengers don’t know this. 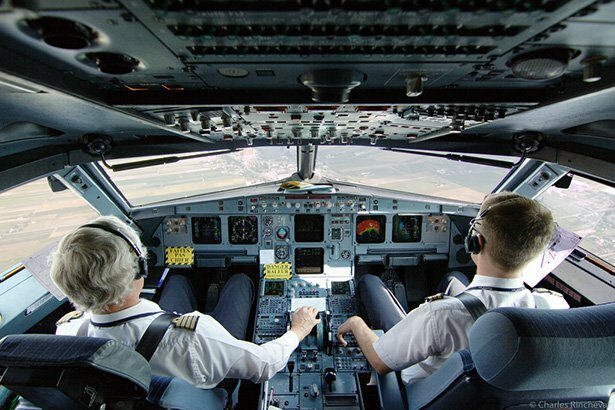 But the pilots who fly commercial spend plenty of their time sleeping at the cockpit (blame that to the auto pilot). 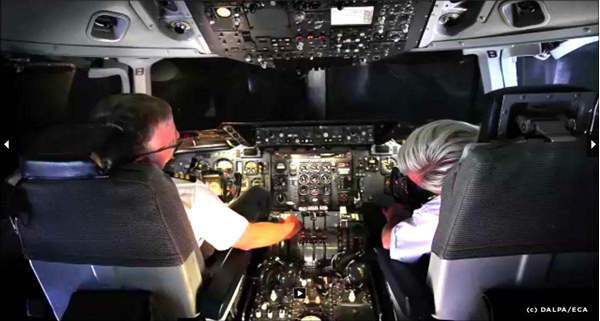 There have been plenty of instances where a pilot would see their co-pilot sleeping. When oxygen masks fall, never assume they can last long. They each have 15 minutes worth of oxygen at the most — enough for the pilot to lower the plane altitude for optimal breathing. 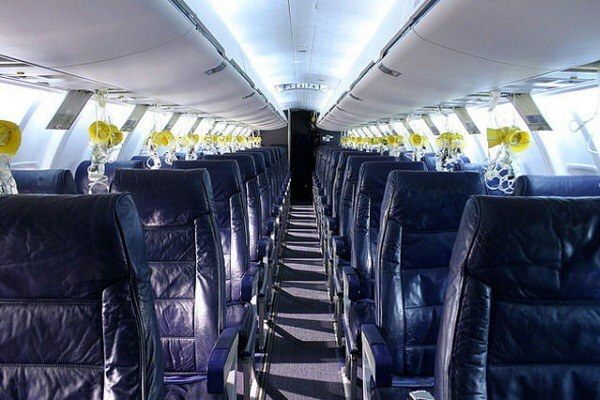 Passengers will pass out if they fail to put on their masks for 15-20 seconds. There’s a good reason why lights go dim at certain instances: eye adjustment. In case of an evacuation, the lights dim so your eyes can adjust to the darkness. This makes it a lot easier to visualize the surrounding areas. 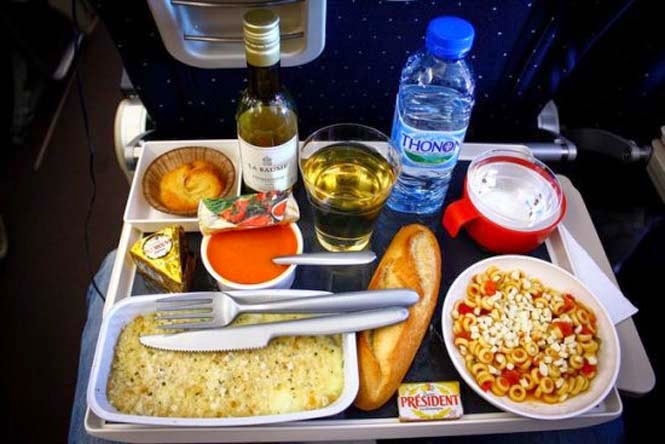 According to a commercial airline employee, both pilots and co-pilots are given separate meals. Even more so, both aren’t allowed to share their food. It’s a security measure that prevents food poisoning. 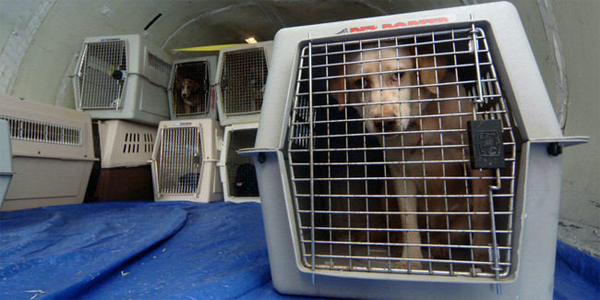 According to multiple reports, commercial airlines would often promise to look after the pets of passengers. Sadly, it’s not always the case. When pets get noisy, the airline crew does very little except have their passenger wear ear protection to block the noise. 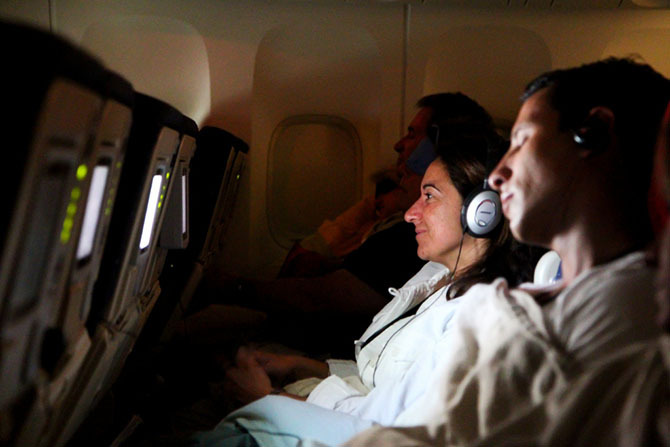 Passengers are often told to power off their devices at certain flight periods. But that’s often never the case for flight attendants. Some would sneak out of sight and power on their smartphones to secretly text or play games. 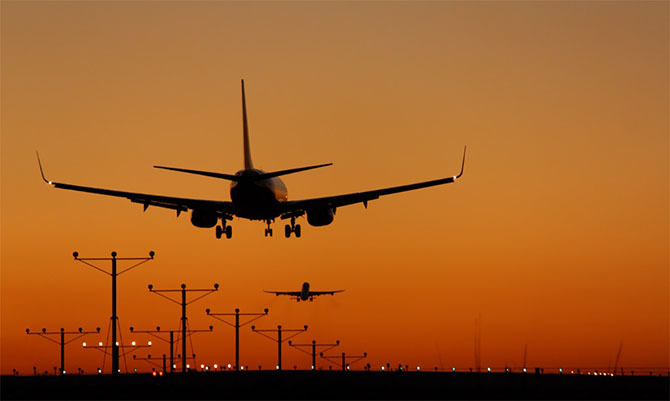 Any law authority entering a commercial flight has limited power when they’re in the air due to certain jurisdictions. Only the pilot has the authority to make an arrest, write out fines, and even take a dying passenger’s will. 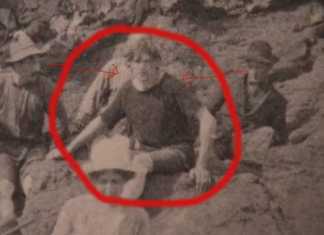 A former airline cargo employee recommends not to drink any open water from the airplane. 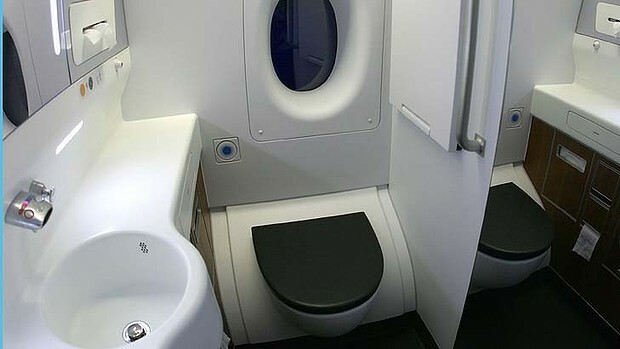 Lavatory waste ports and the potable drinking water system are a feet away from each other during re-fills and clean-ups. It’s one reason why bottled water is preferable. 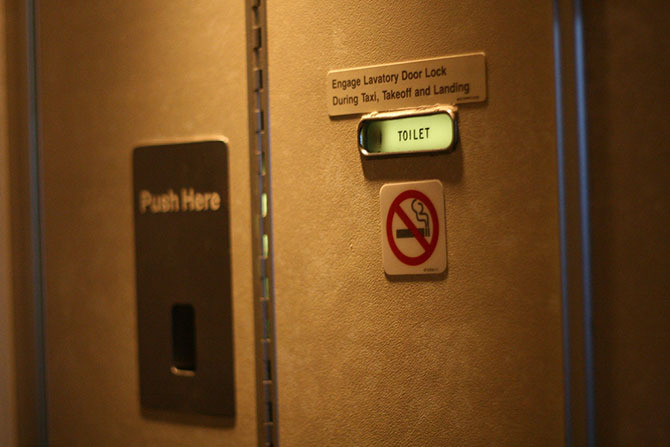 Most passengers fail to realize that airline lavatories have an unlocking feature from the outside. This mechanism is often found behind the No Smoking badge at the door. It’s a matter of sliding the bolt to unlock the door. 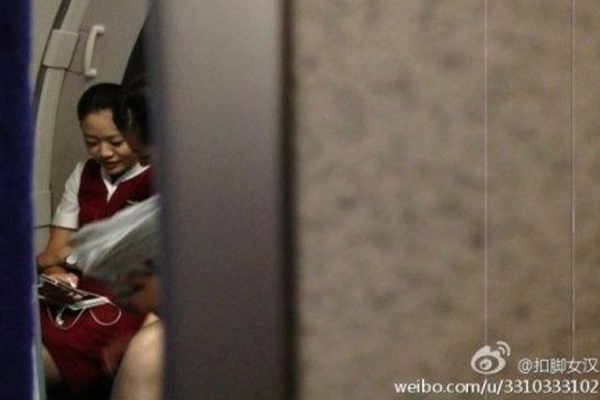 It’s never a good idea to drink tap water from an airline lavatory. According to some airline employees, the tanks housing the water are often sanitized. 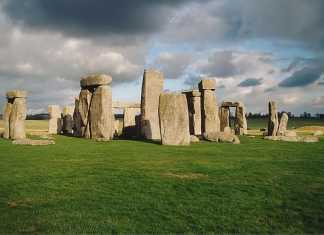 This causes parasites within the area to be resistant to the cleaning chemicals used. 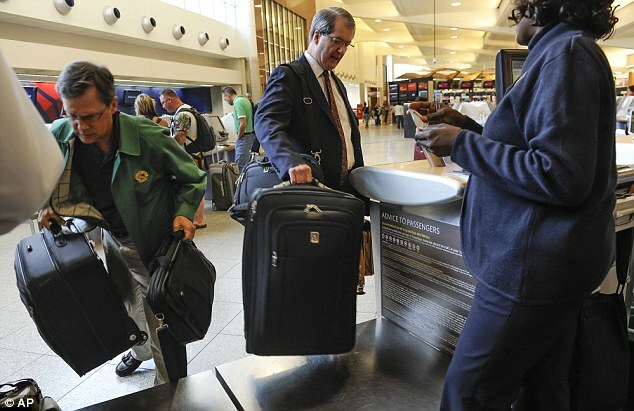 It’s always important to keep your baggage and carry-on bags locked at all times. When you have your bags gate checked, they become vulnerable to just about anyone: ramp agents, gate agents, and even other passengers. 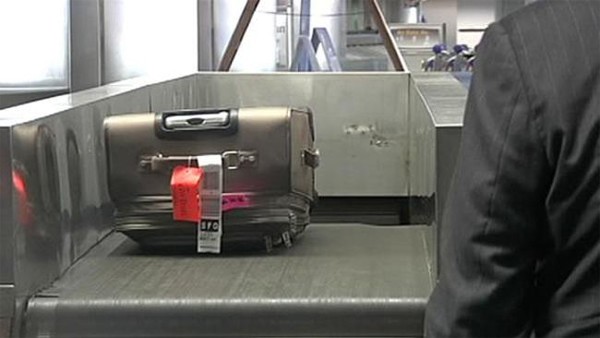 Bag handlers typically don’t care much of the warnings or instructions labeled on any baggage. One bag handler even said they’ll do whatever it takes to fit the baggage in the cargo pit — even if it means kicking it down or squeezing it with the others. Many tend to wonder why airplanes land hard on a bad weather. Truth be told, it’s done with intent. According to physics, a plane is required to land hard to prevent itself from hydroplaning. 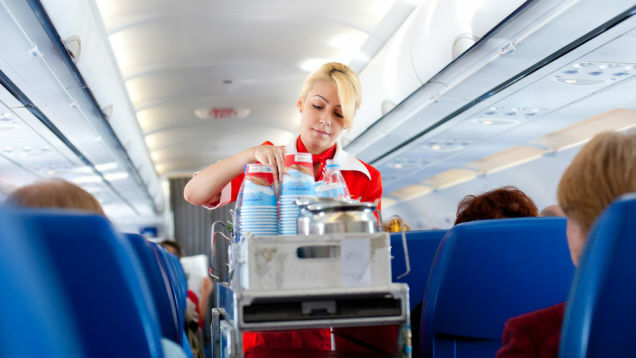 Here’s one fact many may not about flight attendants: they accept tips. 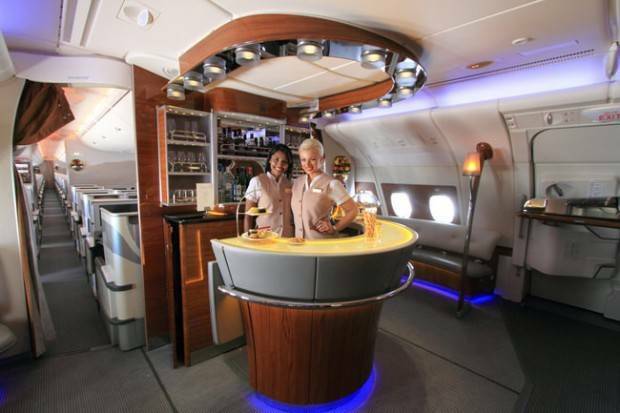 Just like a concierge, flight attendants take in tips for their services. If you tip them, they’ll surely appreciate it. Furthermore, they’ll even offer free drinks to those who tip them. It’s recommended taking out batteries from any device in an airplane. Why? 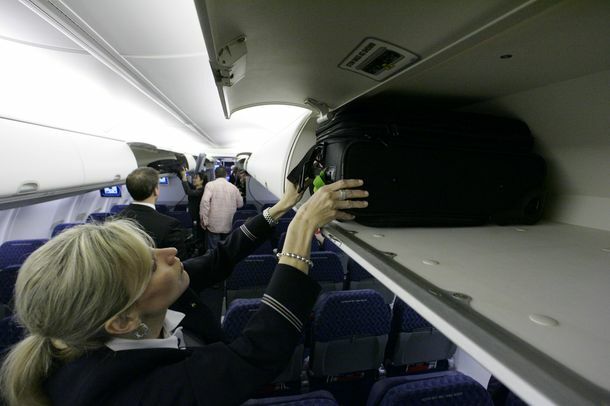 If the flight attendant handling your carry-on or bag hears or feels something vibrating, she’ll inform the supervisor, who will then take you out of the plane to have your bag opened. Even if it’s a huge plane, that doesn’t mean the pilot flying it us an experienced flyer. It’s actually a common or people to purchase tickets to fly on a subcontractor. 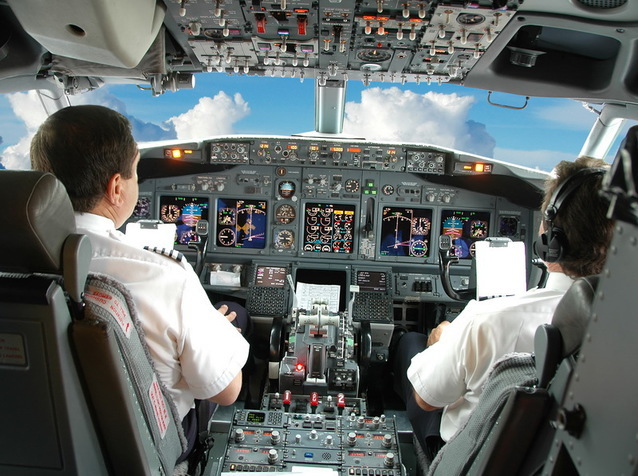 Pilots on a many flights have a fraction of flying experience compared to those of mainline pilots. 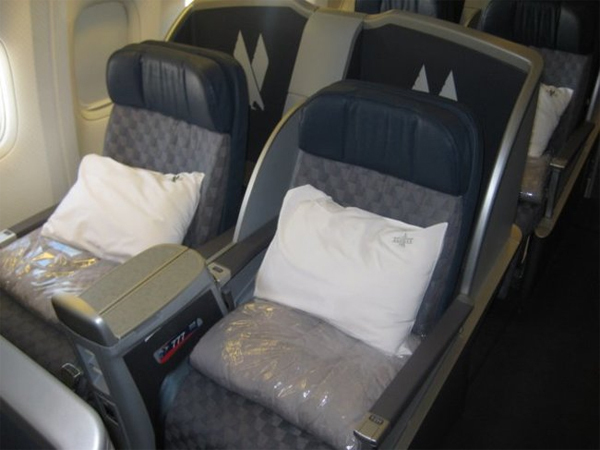 Most passengers are unaware of this, but the pillows and blankets seen in commercial airlines aren’t always cleaned. They’re just re-folded and tucked away. Even worse, the trays are rarely cleaned or sanitized. 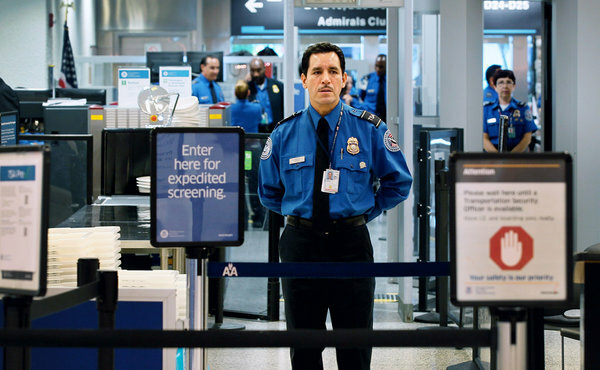 With airports all over the world tightening security to thwart any form of threats coming their way, there are still loopholes that need to be plugged. These loopholes can easily prompt individuals to go another airline, runway, or taxiway. you’ll make, the commercal airline industry will never go away. Even if you do. 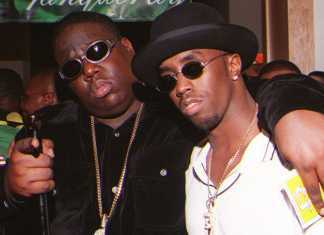 Celebs Gone Crazy: 14 Stars Who Lost Their Minds!